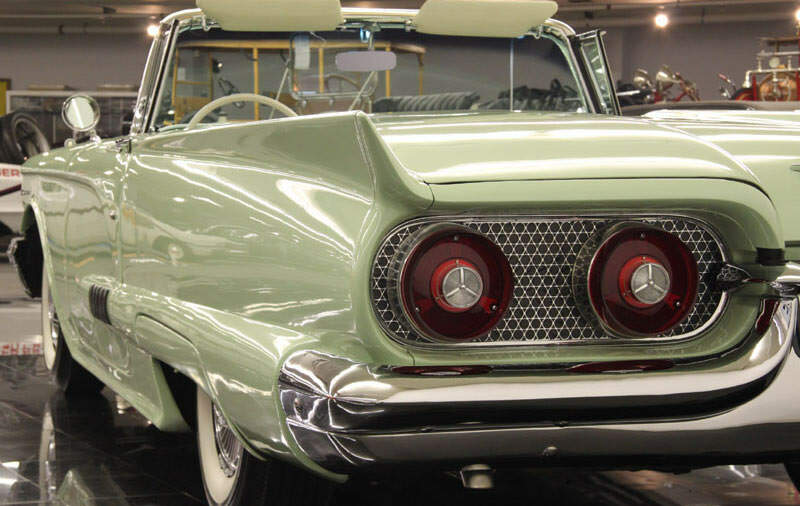 The Thunderbird, also known as the T-Bird, helped usher in an era of personal luxury cars that favored style over practicality. The first generation of cars entered production in 1954. These sleek two-seat automobiles were a great success. Encouraged by this, Ford executives decided that a larger model would increase sales. 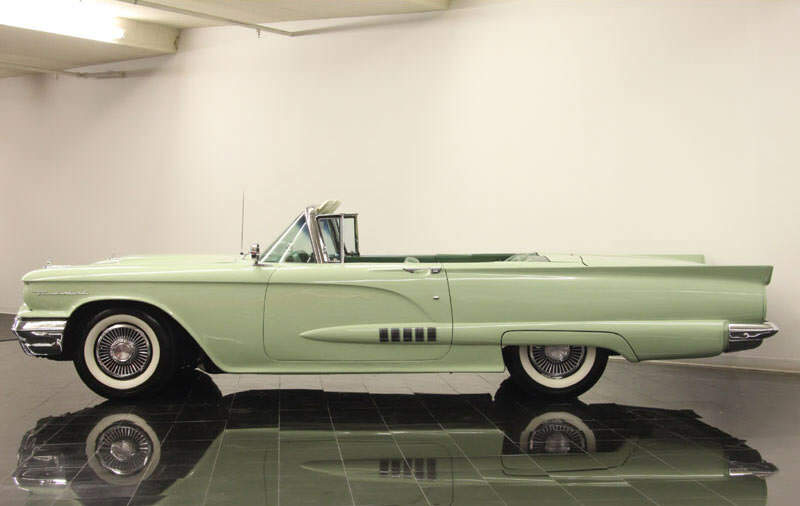 The 1958 Thunderbird convertible was the first T-Bird model to have four seats. Although bulkier than its predecessors, the 1958 Ford Thunderbird still achieved widespread success and easily outsold the previous model. 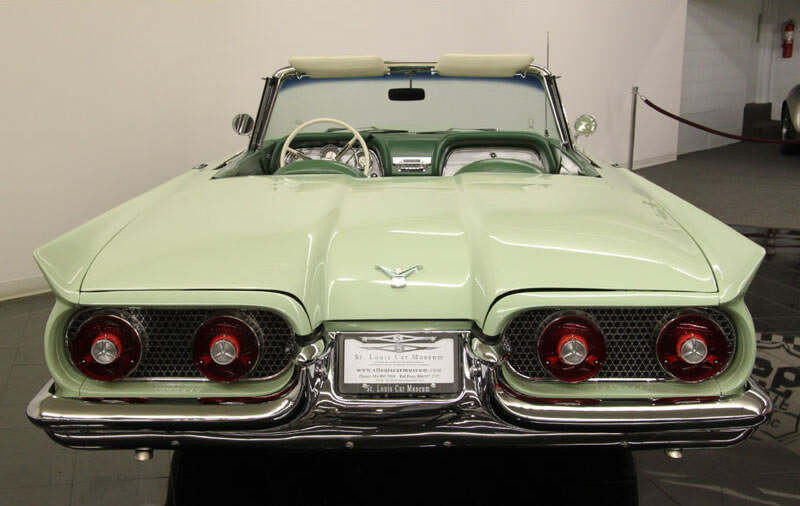 In order to accommodate the new back seat, the 1958 Thunderbird convertible was expanded considerably. Nicknamed the “Squarebird” due to its shape, the new model had a longer 113-inch wheelbase and was over 800 pounds heavier. 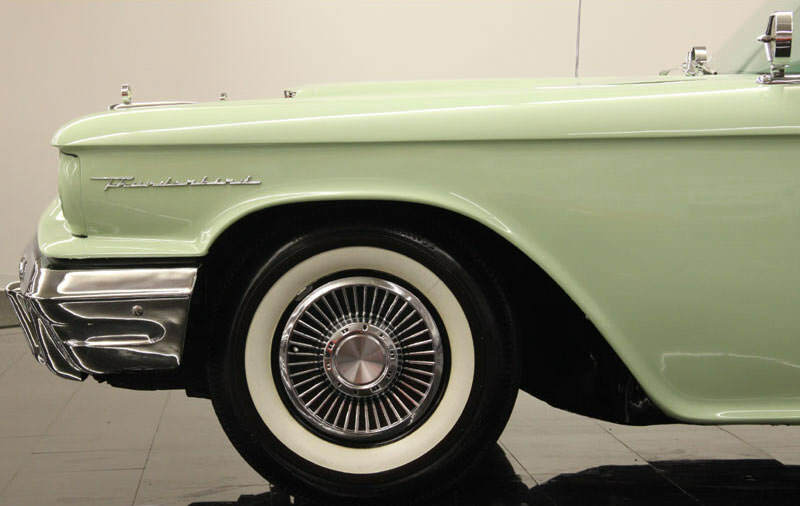 Style was just as important with the 1958 model as with older T-Birds. 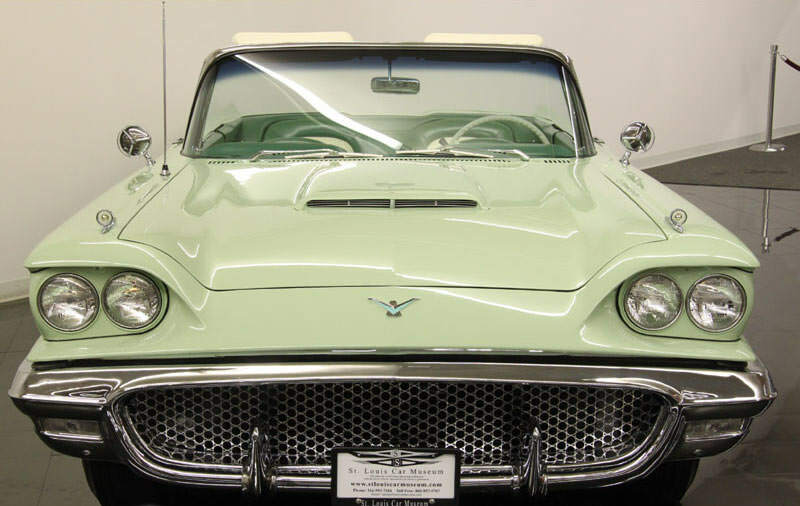 Along with its dual headlights and prominent tailfins, the 1958 Thunderbird was also given a bolder chrome grille. 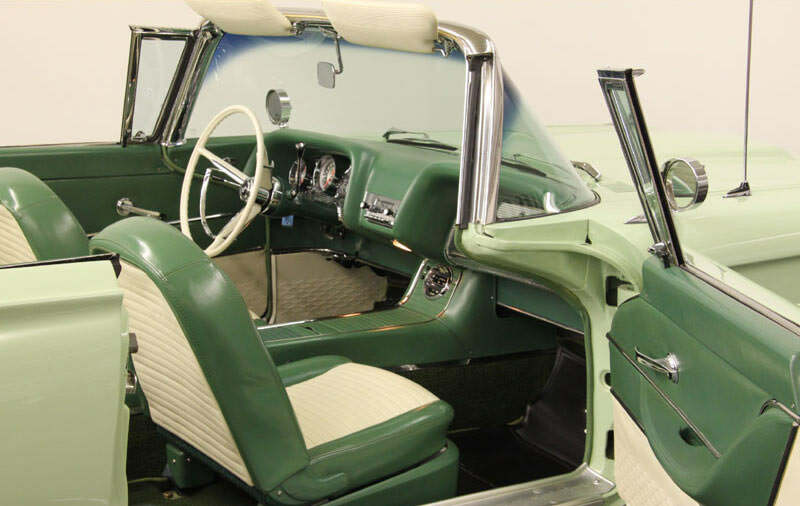 Although it was offered as both a hardtop and a convertible, the 1958 convertible was delayed, making it the rarest convertible from the second generation line. 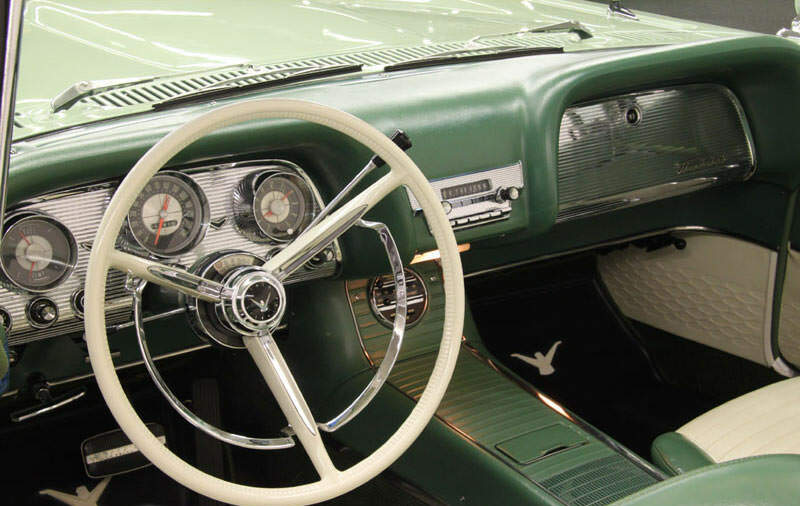 The new features on the 1958 T-Bird weren’t just stylistic. 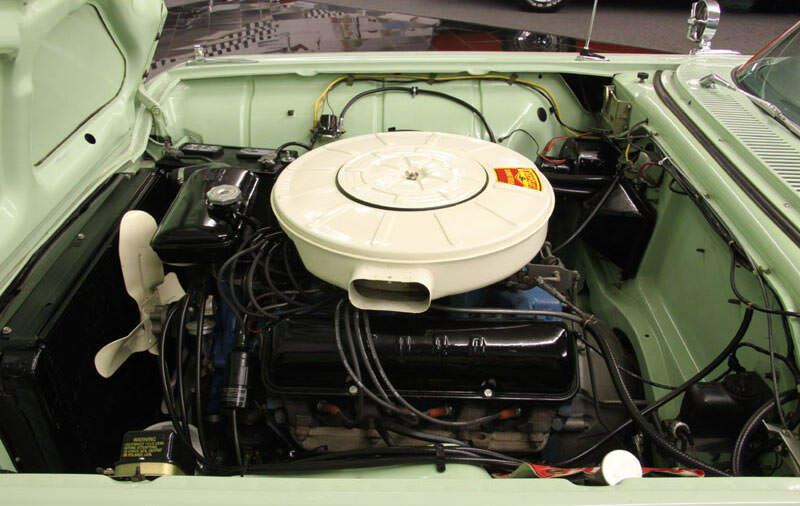 The car also boasted a new 300 horsepower 352 cid V-8 engine. Most of the equipment was very basic, but buyers had the option of getting a heater and defroster, power equipment and exterior rear view mirrors. 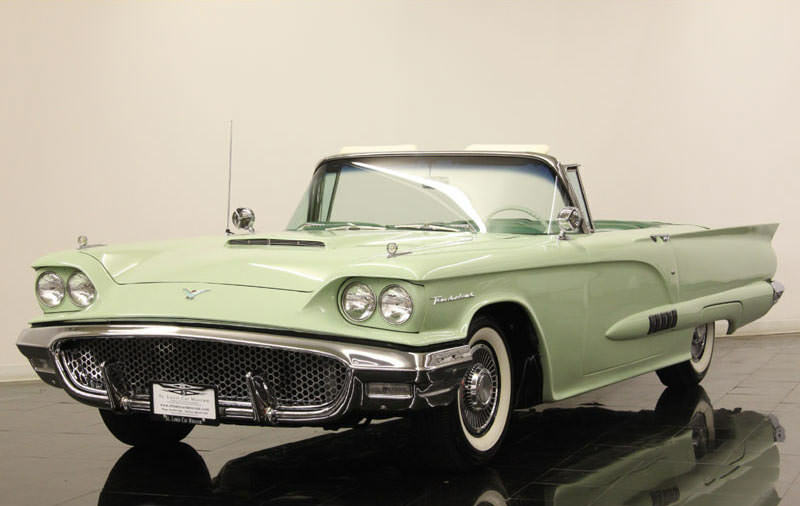 Other luxury convertibles at the time had tops that were power operated, but the 1958 T-Bird required another person to manually assist in lowering the top. 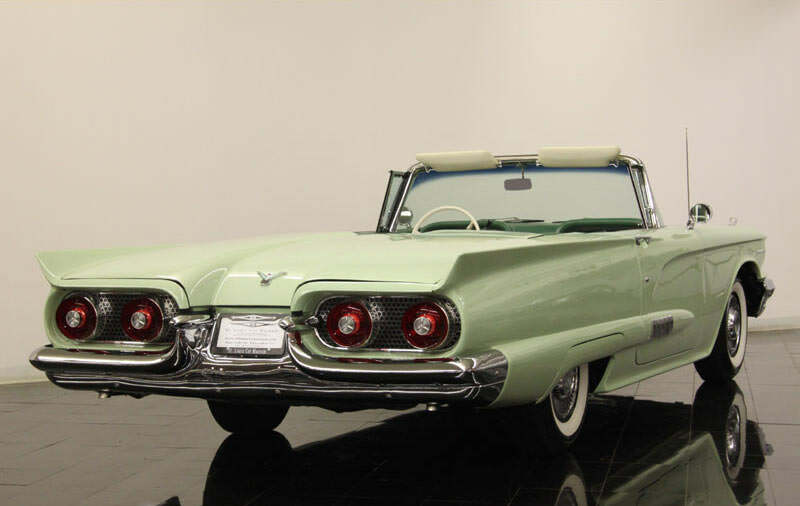 Despite this, the 1958 Thunderbird convertible was not only popular in its time, but continues to be prized by collectors.